Motorcycle clubs release stickers printed with their logo on them and hand them out to their respective members. These clubs are not just a collection of random motorcycle enthusiasts, but are composed of members who follow a set of principles and beliefs. 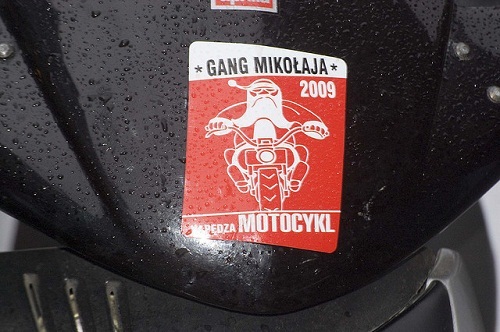 A motorcycle sticker from these groups could represent their dedication to freedom, individuality or further improvement of the motorcycle.